Tue., Jan. 16, 2018, 8:10 a.m.
That tone is not uncommon for the North Korean media. 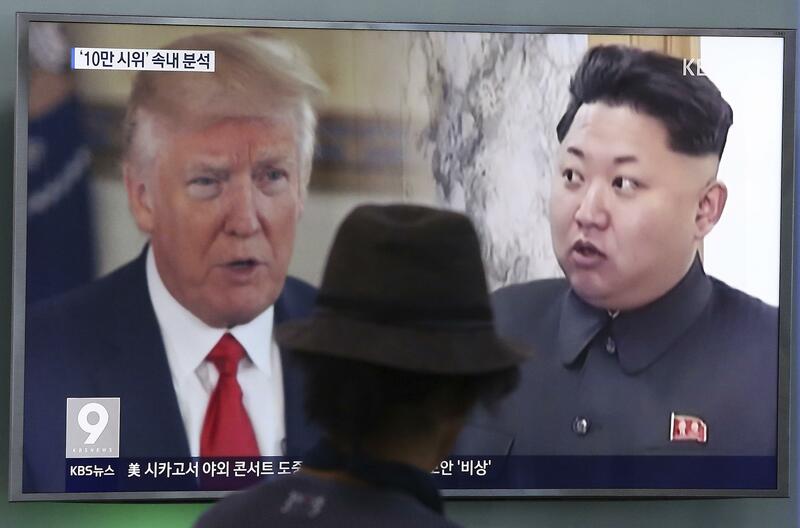 But Trump’s willingness to respond in kind – he has repeatedly called Kim “little rocket man” – is rare for an American leader and has led to several fiery verbal barrages since he took office nearly a year ago. If so, however, the North’s propaganda machine doesn’t seem to have gotten the memo. Trump’s controversial “nuclear button” tweet was in response to Kim’s New Year’s Day warning that North Korea’s nuclear arsenal is a real threat and that he has a nuclear launch button on his desk at all times. Rodong Sinmun also recently ran a story about the book “Fire and Fury: Inside the Trump White House,” which casts the president as a leader who doesn’t understand the weight of his office and whose competence is questioned by aides. Trump and other White House officials have blasted it as inaccurate. The title of the book comes from a Trump quote about North Korea. The book’s popularity “foretells Trump’s political demise,” it concluded. Published: Jan. 16, 2018, 8:10 a.m.